Birmingham airport Car Parks 2 and 3 are both over the road from the terminal and make parking there so simple that you'll find it hard to believe. 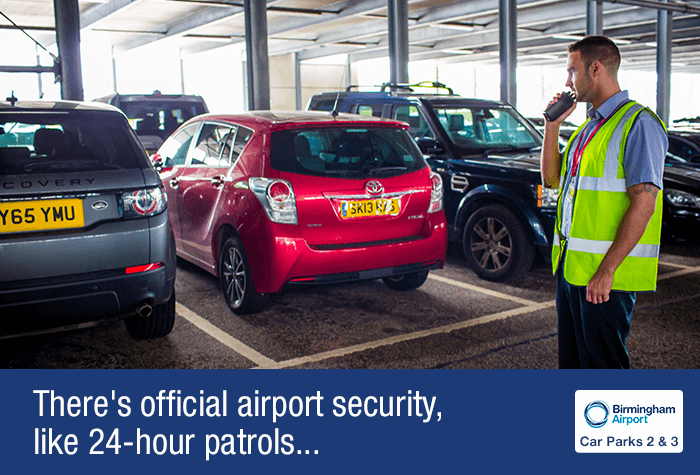 Take a ticket, park up, then walk to the terminal, but still feel secure in the knowledge that your car is protected by CCTV and regular patrols. Parking in car park 3 was a stress free experience and just a short walk to departures.It was also cheaper than booking a taxi and more convenient. No problems encountered the car park was directly at the side of the terminal ideal for early morning / late evening flights do bus hassle with bus trips. 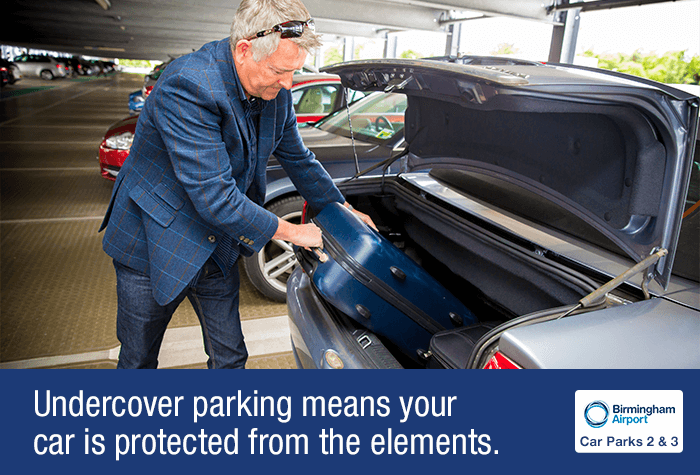 We all ways use hoilday extras.To book our airport parking. Simply easy hassle free. 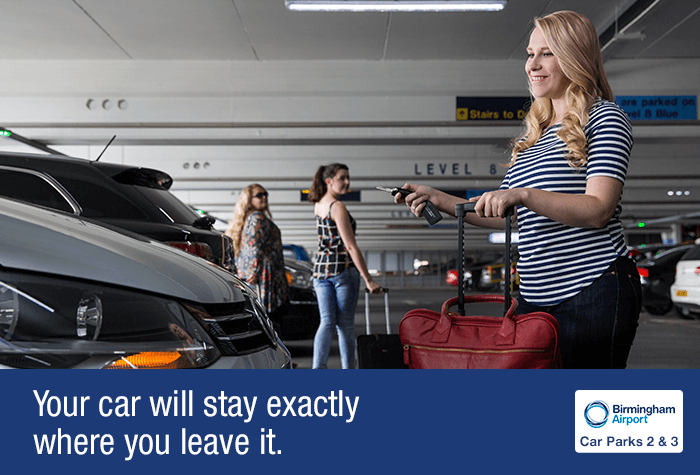 With traveling with young children it's easy to park in car park 2 right next to departures. 2 min walk no busy roads to cross its very simple and safe. Normally use park and ride but found onsite parking to be as competitive and more convenient. Our customers rated Airport Car Parks 2 & 3 on average 9/10 (2202 reviews). Read Airport Car Parks 2 & 3 reviews. 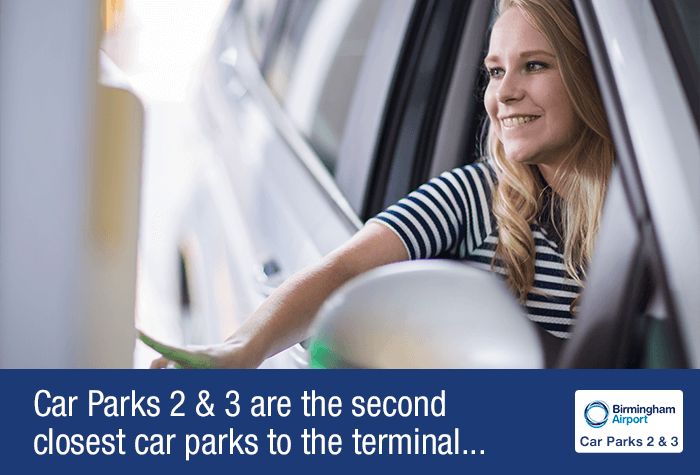 Car Parks 2 and 3 are the second closest car parks to the terminal, after Car Park 1. At Car Parks 2 and 3, it's just a three-minute walk to check-in at the airport. That's because they're adjacent to the terminal - simply follow the signs to departures, then head across the zebra crossing into the airport. Parking is easy. 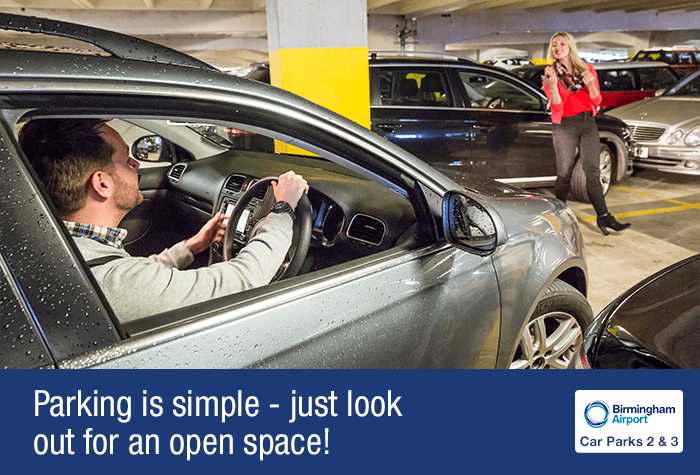 Grab your ticket from the machine, glide in through the automatic number plate recognition barriers, then park wherever you see an empty space. 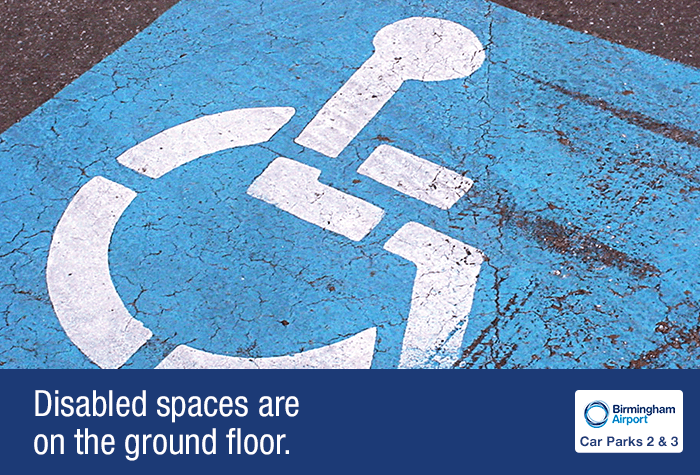 There are disabled spaces on the ground level - just make sure you display your badge while you're away. 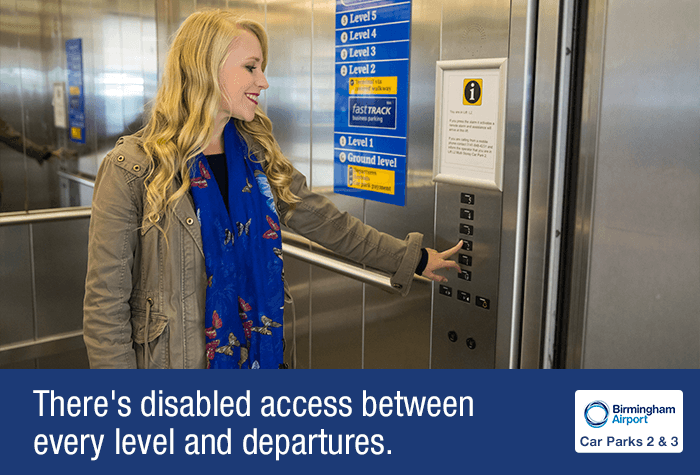 The whole car park has disabled access, with a lift between every level and departures. 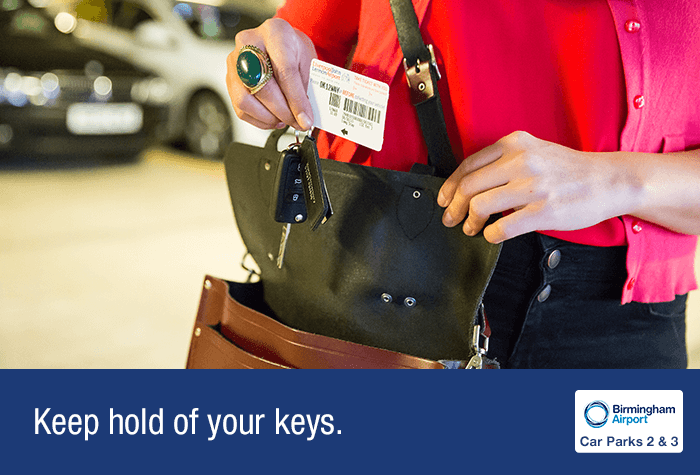 You can keep your keys, which means your car won't move from where you leave it. 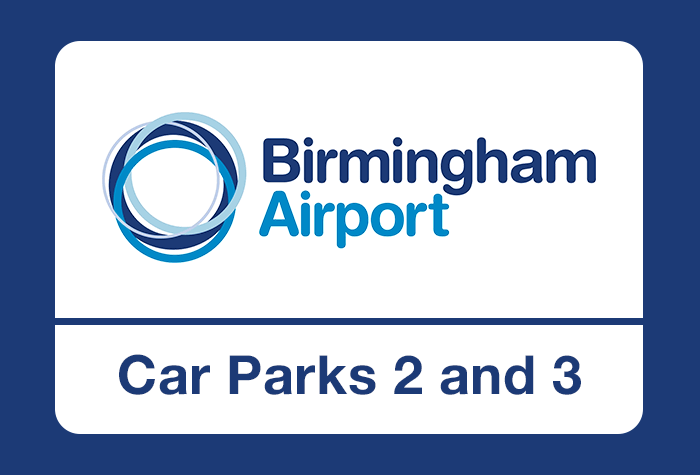 Car Parks 2 and 3 are official Birmingham airport car parks. That means they have airport security like 24-hour patrols, barriers, fencing and CCTV. What do you do if the barrier doesn't lift? 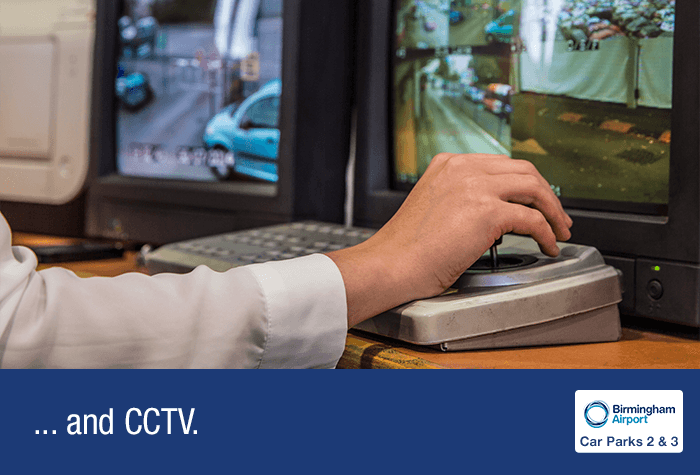 If the ANPR system doesn't recognise your car's registration, or there are any problems getting in or our of the car park, just press the button for assistance and someone will help you. We also offer parking at Car Park 1, next door to Car Parks 2 and 3. 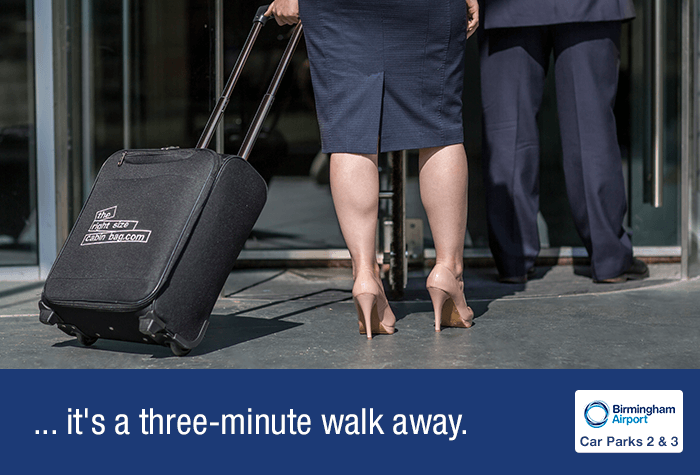 It usually costs a fraction more because it's a fraction closer to the terminal - just a two-minute walk away. The gate rate for the car park is currently £33.50 per 24 hours, subject to change. Please remember to keep your ticket safe. The car park cannot accommodate vehicles over 2.15m tall. When you're ready to fly, it's just a short walk across the zebra crossing to the terminal.